It’s National Orange Juice Day! 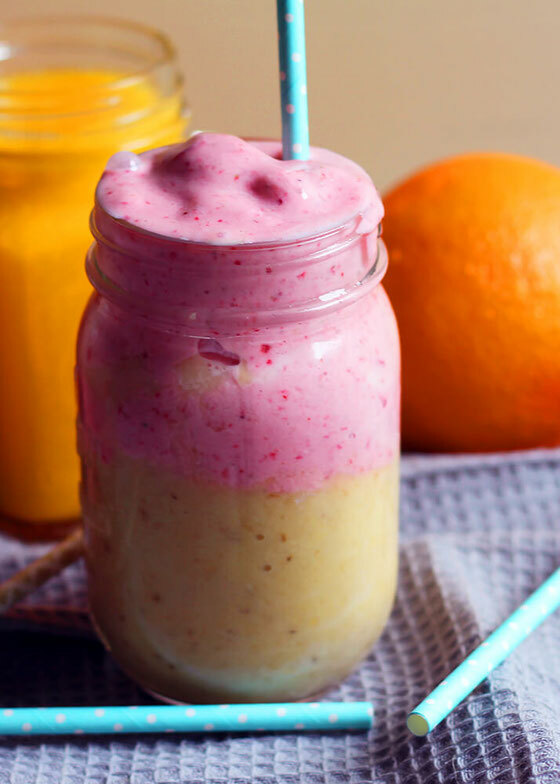 Celebrate with this orange strawberry layered smoothie, a breakfast that’s bursting with beneficial nutrients, fueling protein, and Florida sunshine. Thanks to the folks at the Florida Department of Citrus for sponsoring this blog post. All opinions, as always, are my own. I’ve lived in the New York City area for so long that many people don’t realize I’m from Florida. But I was born there, raised there, and went to college there! And I’ll tell you a secret: I still have my Florida cell phone number that I got as a teenager. It makes sense that growing up in Florida, I enjoyed my fair share of orange juice. My family’s fridge was always stocked with it, and I found a glass of it so refreshing on the numerous hot, sticky, and humid afternoons of my always-summery childhood. Nowadays, as a registered dietitian nutritionist, there are plenty of opportunities to drink Florida OJ straight up. But I also think it’s a great smoothie addition (you probably know by now how much I love my smoothies!). So I created a smoothie recipe that’s reminiscent of my Florida youth. 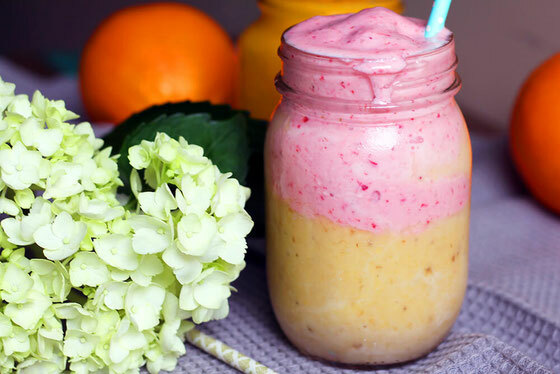 It’s bright, sunny, and cheery, with orange juice and strawberry layers. While you’ll hit your daily quota of fruit servings with this smoothie, it’s not all fruit: I added plain Greek yogurt for a protein boost. You get 15 grams of the power nutrient, which will help you stay full till lunchtime or snack time (whichever comes first!). Potassium: This mineral helps counteract the effects of sodium and can help control your blood pressure levels. An 8-ounce glass of Florida OJ is a good source of potassium. Magnesium: 100 percent OJ also contains this mineral, which helps athletic recovery by aiding muscle function and replenishing electrolytes. Hesperidin: You might be wondering what the heck this is! I only recently learned myself, over the summer at a nutrition conference in Copenhagen. A powerful flavonoid (a type of antioxidant), hesperidin has many potential beneficial effects. It could help brain health by helping reduce inflammation and maintaining blood flow to the inner parts of your noggin. And 100 percent orange juice contains the pulp, juice, and peel of the orange—all of which contain hesperidin, making the beverage one of the few significant sources of the antioxidant. Oh, and if you’re wondering about OJ portion size (which I’m always thinking about as a dietitian), here’s what you need to know. The recommended serving size for kids is 4 to 6 ounces daily, while the recommended amount for adults is 8 ounces daily. You can incorporate the beverage into a healthy weight loss or weight maintenance plan. 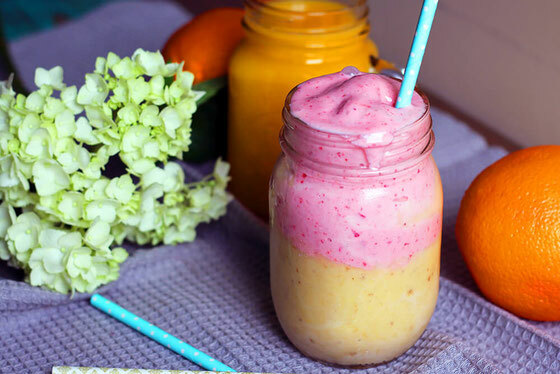 Ready to whip up a delicious smoothie? Make this for breakfast tomorrow, or serve it for a Mother’s Day breakfast. It looks so impressive, yet is so easy to blend up! 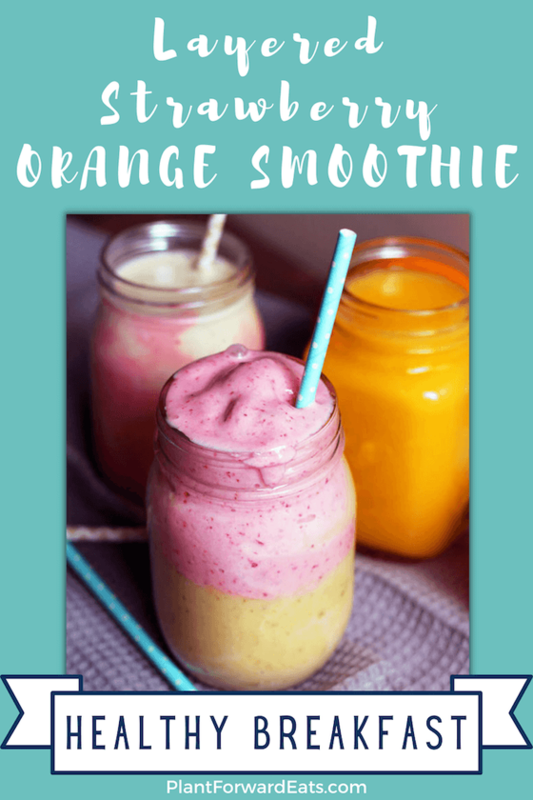 Blend together bananas and 3 ounces orange juice. Pour into glass, cover, and freeze for about 5 minutes. Meanwhile, rinse out blender; blend together strawberries, yogurt, and remaining orange juice. Remove orange juice smoothie layer from freezer, and top with strawberry smoothie layer. Serve immediately. Makes 1 serving. What are your thoughts on this topic? What are your favorite ways to enjoy orange juice? 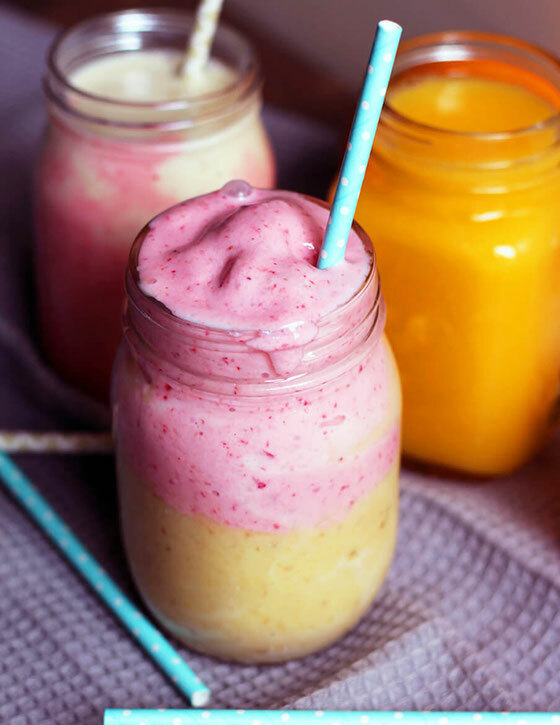 What ingredients do you like to add to smoothies?